Maybe Pocket thought people would like to be immersed in their reading more, which makes sense, but there are also use cases when you might want to control your music, check your commute map, or maybe copy text from an article to another app or compare it with information from another source. Regardless of the reason, you can now do so and it works across the Pocket app, from the list to the discovery section to reading an article, and more. To get it working, you need version 6.7.9.0, which you can grab from the widget below or install manually from APK Mirror. 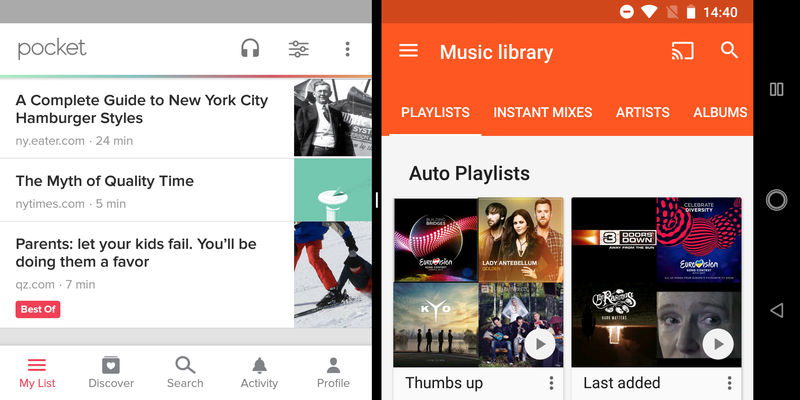 This version adds Multi-Window support to Pocket on Android 7.0 and above. With split-screen mode, you can multi-task like a pro and use Pocket along with other apps on the same screen, at the same time.